The art of acquiring a language and its application is similar to that of weaving a tapestry. To ensure that the learners develop language proficiency, strands of the four primary skills of listening, speaking, reading and writing need to be interwoven in a balanced and effective way. Exposure and practice of these skills can help the learners become effective users of the language. In light of the above mentioned, TRC offers a short course for those who wish to improve their proficiency in English language. This course explores the foundational sentence construction, problem words, common grammar mistakes, and much more through practical, hands-on exercises. You will learn through short videos, examples, and even fun games. Take your English language proficiency to the next level! Ms. Rubina Naqvi has B.Sc / B.Ed degrees from Karachi University. She is an accredited trainer and holds a Diploma in Professional Studies from University of Bradford, UK. She brings with her 38 years of experience in the field of education which includes teaching, training teachers, and school management. 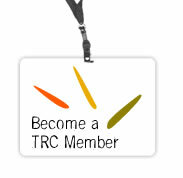 Currently she is a member of the Training and Development Team at TRC and is working in the capacity of Senior Manager, Membership Network since the last 14 years. 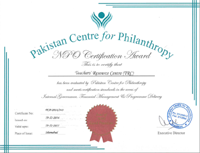 Ms. Misbah Karamat comes from a diverse educational and professional background. She has a bachelor’s degree in Textile Design from the National College of Arts, and an accredited certification – ICELT, in English language teaching from the University of Cambridge. She has worked at different educational institutions across Pakistan, and brings with her teaching experience in various subjects at primary and secondary levels.